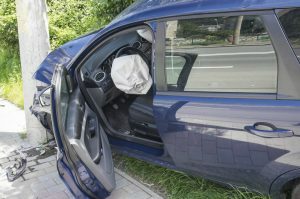 Professional Analysis and Consulting, Inc. has an impressive team of engineers providing expert analysis and technical support for a wide range of industry investigations, specializing in incidents requiring the services of a vehicle accident investigation expert witness near Naperville or the surrounding communities. When you have a vehicle accident investigation expert witness from Professional Analysis and Consulting, Inc. in your corner. Rest assured you have a fully trained and extensively experienced professional who is dedicated to meeting your investigation and analytical needs in a timely and cost-efficient manner. Call 630-466-4040 today to speak with a knowledgeable representative about the availability for vehicle accident investigation expert witness services from the industry experts at Professional Analysis and Consulting, Inc.
At Professional Analysis and Consulting, Inc., we use the latest technological advances and the most up-to-date advanced techniques to gather and analyze accident scene data. With that valuable information, we will use our training and experience to determine such crucial information as the impact speed and directions of the vehicles involved, and the impact severity to all involved. Our vehicle accident investigation expert witness near Naperville will work to form a legitimate framework to support our investigation. With this analysis and information, we can tell the story of how the accident happened, as well as what laws or regulations might have been violated. Call 630-466-4040 today to speak with a knowledgeable representative about the availability for a vehicle accident investigation expert witness near Naperville from the industry experts at Professional Analysis and Consulting, Inc.